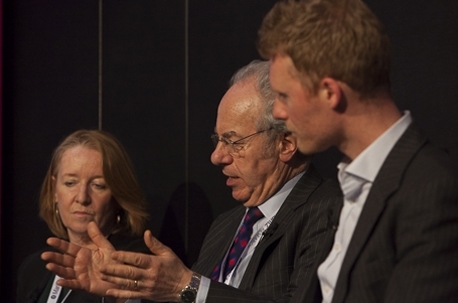 Up for debate this afternoon on day two of the MRS Annual Conference was how decision-making in a democracy has been affected by the increase in noise and data in the digital age. “The huge wave of published information coming at our politicians has not affected politics in a healthy way,” claimed Deborah Mattinson, co-founder of Britain Thinks. Taking aim at the daily polls produced by organisations like YouGov, Mattinson said: “There’s a lot of noise, and very little informed debate.” Twitter goes mad, she says, when a poll shows a change in voting intention that might not even be statistically significant. He added that, in many instances, it is important that politician’s are not “blown around” and are free to decide on the merits of a course of action. He admitted, however, that it is hard to see a “prescription” for making politics work better but said that, in his opinion, the “big opportunity in the digital space is fewer, more robust polls, rather than reactive politics, driven from a place of insecurity rather than strength”. Mattinson proposed building-in a mechanism whereby people are chosen at random from the electoral register in a system which makes public involvement in policy development compulsory, in a similar way to jury service. “Politicians get things wrong all the time,” she said, while discussing this form of political co-creation.